Christy Callanan: Liam Cosgrave R.I.P. Today, I learned with sadness of the passing of former Taoiseach Liam Cosgrave at the ripe old age of ninety-seven. The Cosgrave Dynasty has deep roots in Irish public life. One famous ancestor was killed at The Battle of Vinegar Hill during the 1798 uprising by The United Irishmen. Liam's father, W.T. Cosgrave, took part in the 1916 Rising as 2nd Lieutenant in the 4th Battalion of the Irish Volunteers. W.T. 's step-brother, Goban Burke,was killed early in the rising. This caused W.T. great anguish as it was he who encouraged his step-brother to join the Volunteers. W.T. Cosgrave became President of the Executive Council of the Irish Free State following the death of Arthur Griffith, and the assassination of Michael Collins. He led the country ably during it's formative years after a brutal and senseless Civil war and severe economic deprivation. 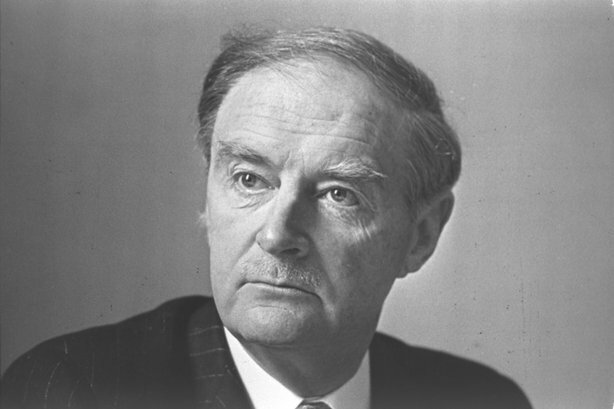 Liam Cosgrave was Minister for External Affairs in the Inter-Party government of 1954-57. He became Taoiseach in the coalition government of Fine Gael and Labour between 1973-77. Like his father before him, Liam always put the interests of the country ahead of himself and his party — a practice that is seldom, if ever, rewarded in this country. The Cosgrave legacy of sacrifice, honesty, integrity, truth and great service to this country will live on.